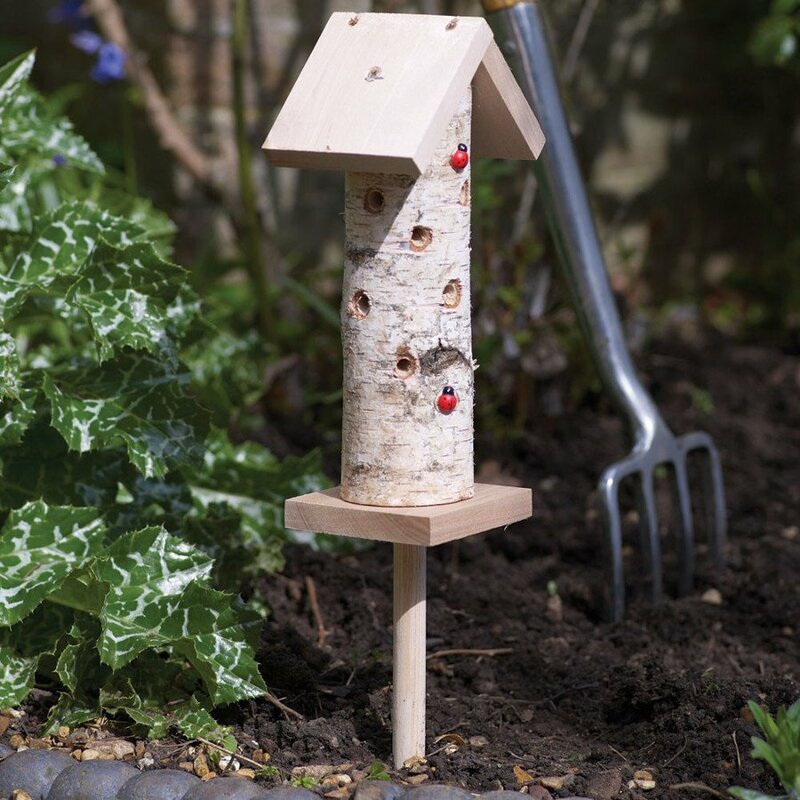 Welcome ladybirds and other beneficial bugs to your garden with this FSC ladybird tower made from natural air dried timber, perfect for letting the little insects take shelter with a hollow central core. 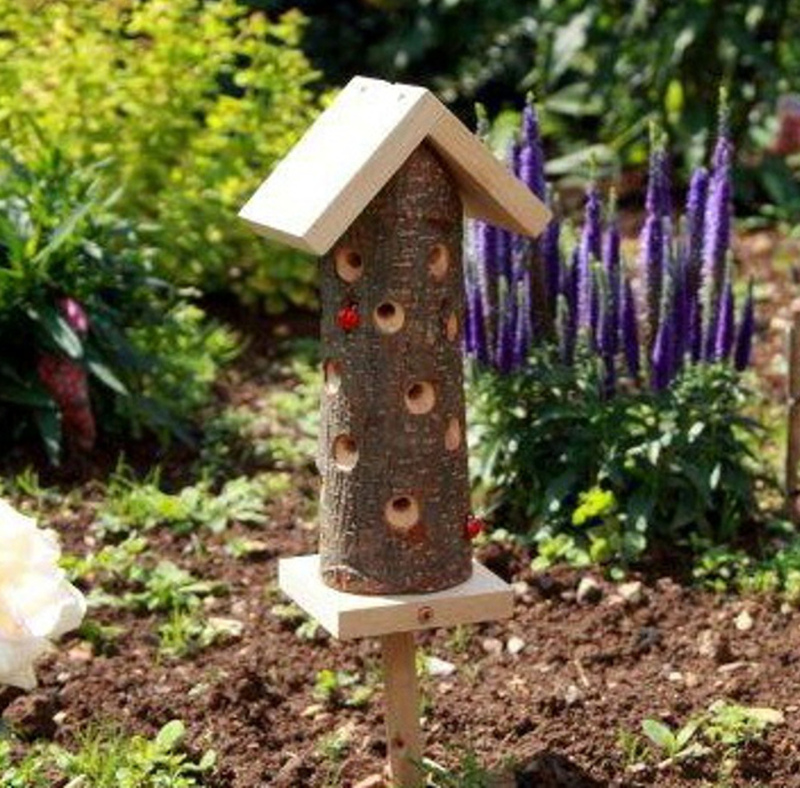 The ladybird tower is made in such a way that the hollow chamber can be filled with straw to provide insulation and protection for beneficial insects. 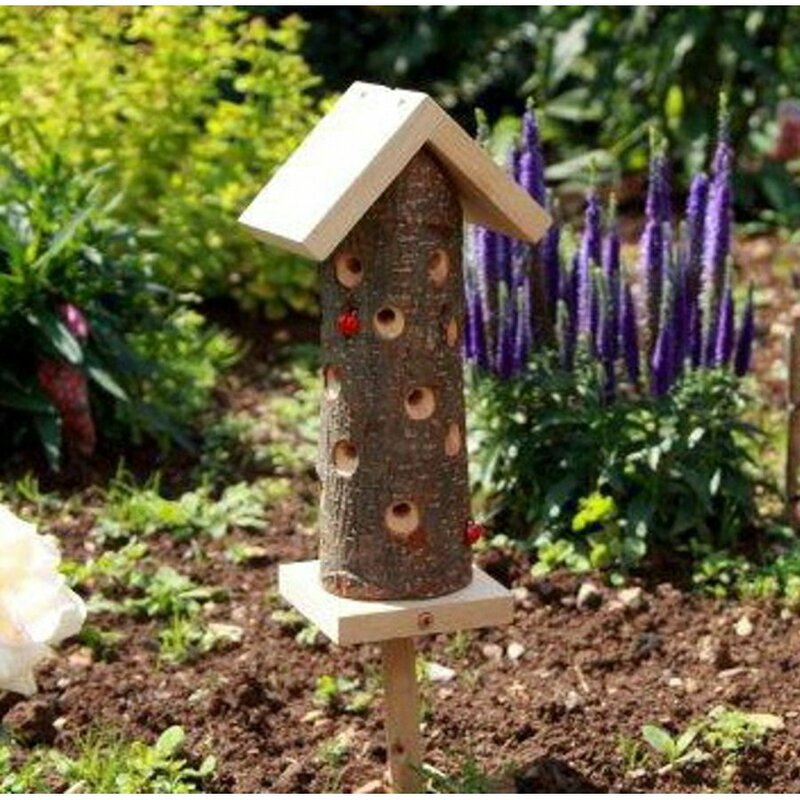 It features a ground pole fixed at the rear so that it can be placed on the lawn or sheltered in a flower bed in your garden. Make sure to smear ladybird food on the entrance holes to attract the beautiful creatures. The Ladybird Insect Tower product ethics are indicated below. To learn more about these product ethics and to see related products, follow the links below. Ladybird tower appears well made, sturdy and well able to withstand the elements. Hopefully will attract Ladybirds to live in it during summer! didn't realise that the 'pole' would be less than a foot long! Again given as a present so not sure how the finished item will function.Received well by my mother. Q: What type of wood are your insect homes made from? I want something that is going to last well and need to know if it requires any treatment before i put it up. I have seen different homes for sale and want to choose the best one in terms of look and function, can you please help? A: Hi, this Ladybird Insect Towe is constructed from solid FSC birch logs and oak, larch, or similar timber for durability. It comes complete with it's own ground pole and which is easy to site into lawns, sheltered flower beds, wooded glades or even in planters. The naturally durable timbers require no preservative. I hope this helps. Robyn.